Master the art of origami with Australia's leading artists. Learn all about paper selection, folding techniques, paper treatments, and start folding your own origami artwork. Origami is one of the most innovative ways to transform paper into art. Learn the secrets of this traditional art form undergoing a modern day renaissance. Folding Australia 2015 will run from Saturday 24th to Sunday 25th of October at Scienceworks Museum in Spotswood. Registration on both days starts at 9:30am. Sessions start at 10am. If you have a model (or models) you would like to display at the display area, bring it along! Two days of origami taught by local and international experts in Melbourne, Australia. Model displays, classes, and a chance to socialise with fellow origami enthusiasts. It's also a great chance to try something new if you've never done origami before and are interested in learning. All ages and all levels of experience are welcome! The teaching schedule is subject to change, and people can move between sessions as they wish. A ‘break out’ area will be available to relax and socialise. A selection of books from the Melbourne Origami Group library will be available for browsing and reference during the convention. Pop-up talks may also make an appearance – stay tuned! In addition to the main Folding Australia events, free public workshops will be held on the Saturday afternoon from 1-4:30pm and Sunday morning from 10-12noon. Come along and try out some simple origami. Scienceworks Museum in Spotswood is an inspiring space full of creativity, fun and – of course – science. It’s a perfect fit with origami and we are proud to be able to present Folding Australia at Scienceworks Museum. You can find out more about Scienceworks Museum at museumvictoria.com.au/scienceworks. 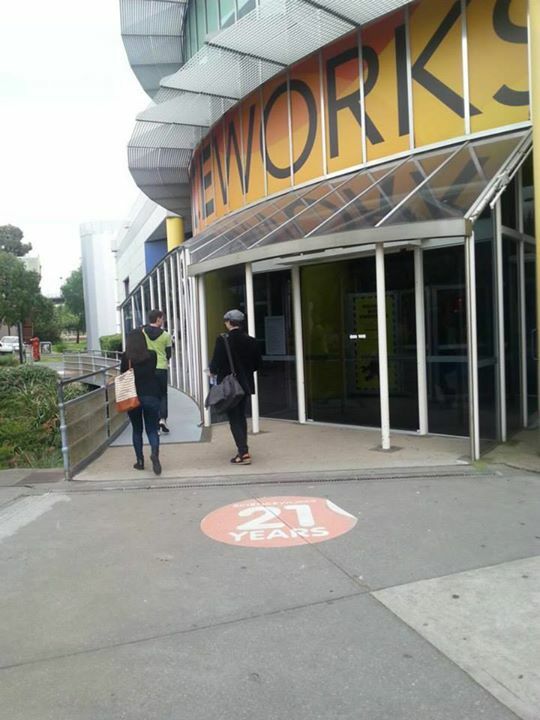 Scienceworks Museum is located within about a ten minute walk from Spotswood train station. Ample on-site parking is also available with a modest flat parking fee of $3. Tickets include access to all classes and activities run across Folding Australia including general access to the Scienceworks Museum, for the days or day chosen. All attendees will receive a goodie bag on the day with a selection of paper for folding and a few surprises too. A note for parents / guardians: If you will be attending, but not participating, you are not required to purchase a ticket. However, if you or your child wish to explore the rest of Scienceworks Museum at any stage, you will be required to purchase entry from the Scienceworks ticket counter. A 2015 Folding Australia t-shirt was be produced, available in sizes S through XXL and three colours. The design features the Folding Australia 2015 logo with the emu model designed by Gen Hagiwara. Looking For Origami around Australia? Looking for some orgiami near you? Check out the main Origami Australia website to find local clubs and more. Information about Folding Australia 2012 is hosted on Origami Australia. Information about the Folding Australia conventions from 2003, 2005, 2007 and 2009 can be found at Matthew Gardiner's Paper Crane site. Folding Australia 2015 is presented by the Melbourne Origami Group, inc.
To find out more about the Melbourne Origami Group, you can visit our website. Venue and event assistance with thanks to Scienceworks Museum and Museum Victoria staff. Chair and table hire with thanks to Westgate Party Hire.